I have been a cheer mom for a couple of years now. My daughter didn’t do Pop Warner leagues or competitive cheer when she was younger. She did ballet and soccer. 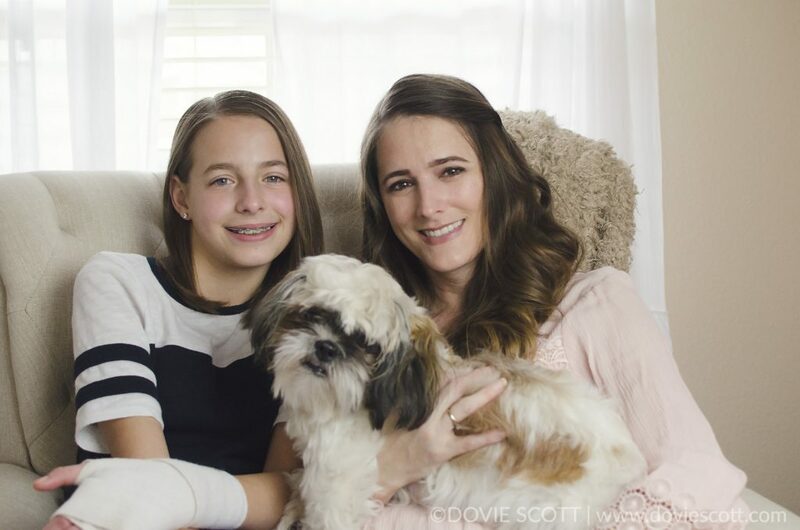 She didn’t get bit by the cheer bug until middle school where she was on the pep squad in 7th & 8th grade and then the cheerleading team her 8th grade year. She really loves cheering and I am super excited she is doing something she loves. She tried out for her high school team and made JV, big congrats to her and all of the other squad! She is a flyer and really loves flying. As for myself, being her mom, I’m of course nervous every time she stunts. Since she didn’t do cheerleading when she was younger I didn’t have all those years to get used to it. She has been doing great so far and has her half and full down. She’s been working on her liberty and she did have a fall and bumped heads with one of her bases. 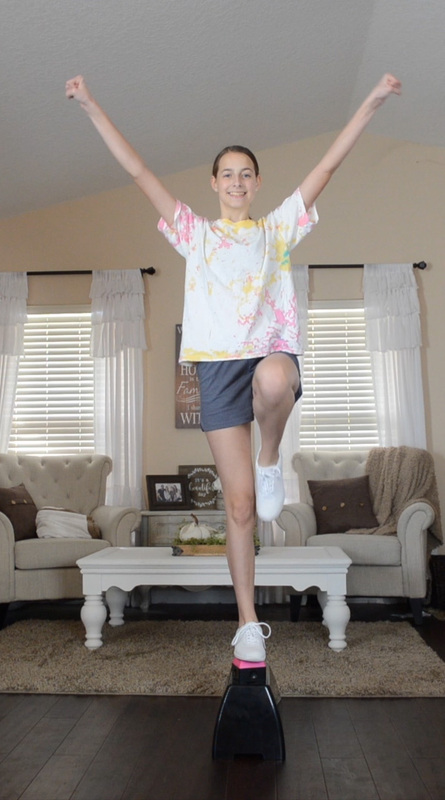 I know that cheerleading is dangerous so I wanted to find a way that she can practice at home safely on balancing and building up core muscles for her stunts. After researching I thought it would be a good idea to make a stunt stand. Since I do like to save money and like DIY’s, I did have my husband make her a stand but that didn’t turn out as planned. The problem was, he didn’t make the foot rest thick enough so it broke when I tested it out. I still have a nice bruise on the arch of my foot from it breaking in half when I stood on it. With it being redone with thicker wood I am sure it would have worked out great. I just didn’t have the confidence with my daughter doing stunts on it, so I started researching pre-made stunt stands. After quite a bit of research and videos I decided to go with the stunt stand. It’s super sturdy and the foot rests can be changed out for different levels of stunting. This particular stunt stand had 5 stars with over 100 reviews. 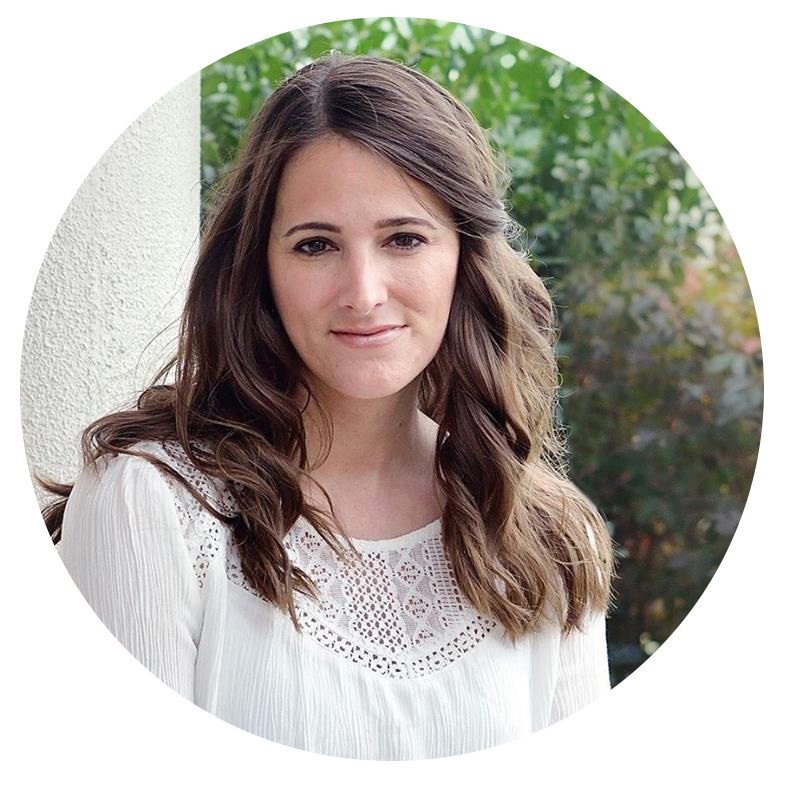 I think those are awesome stats and I did want something where she and I both felt confident with it advancing her skills to be able to stick her stunts. She has been practicing on it ever since it has arrived and she has definitely built up more confidence practicing her liberty’s. She’s even been practicing arabesque’s. I think this stand is awesome and so does she. I feel much safer with her getting her balance skill up to par on the stunt stand rather than in the air. The ground is a lot closer than in the air. I’m really proud of her hard work and love the confidence she is gaining with each stunt she sticks. If you want too see it in action, I’ve inserted a short video at the end of this post of her using her stand. I know the price is a bit high on this particular stunt stand and I was a bit reluctant at first. If you aren’t able to fit the stunt stand in your budget there are some other great options such as these here. Here is a short video of my daughter using the stunt stand. Note: This post may contain affiliate links. By clicking on them and purchasing products through my links, I receive a small commission. 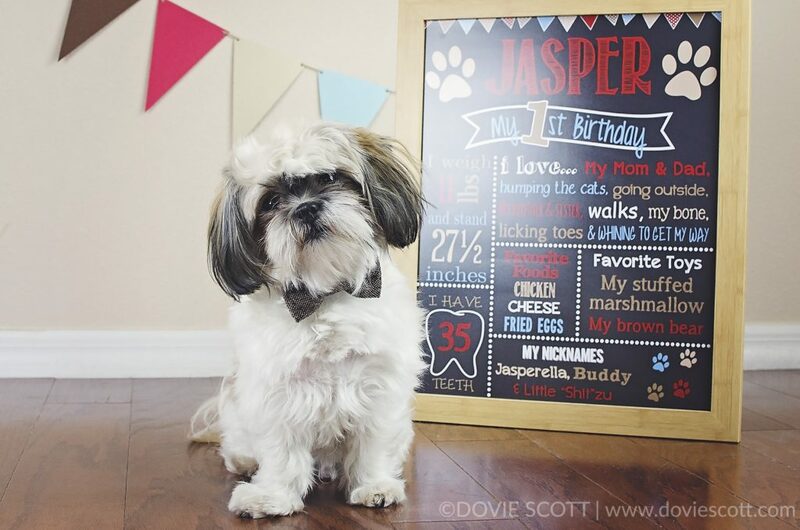 My sweet Jasper turned a year old and I did his birthday photos, which you can see in my previous blog post, but we also had a little puppy birthday party for him! 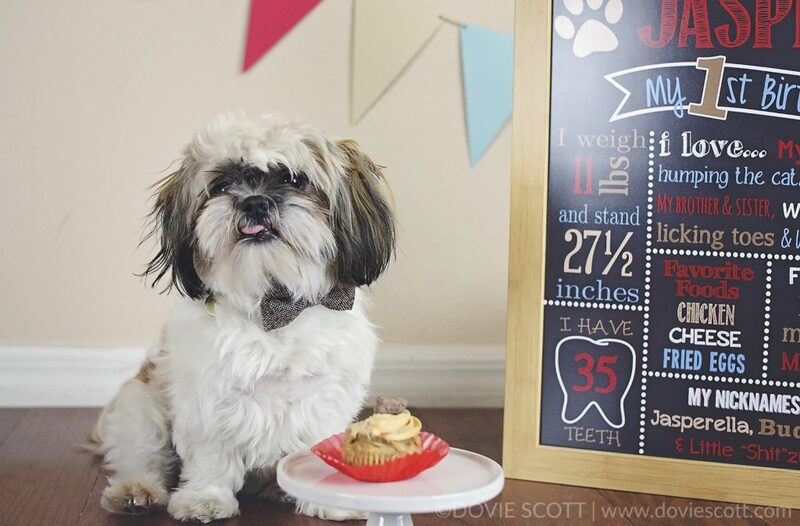 His aunt, pup cousin and grandpa came to help celebrate. 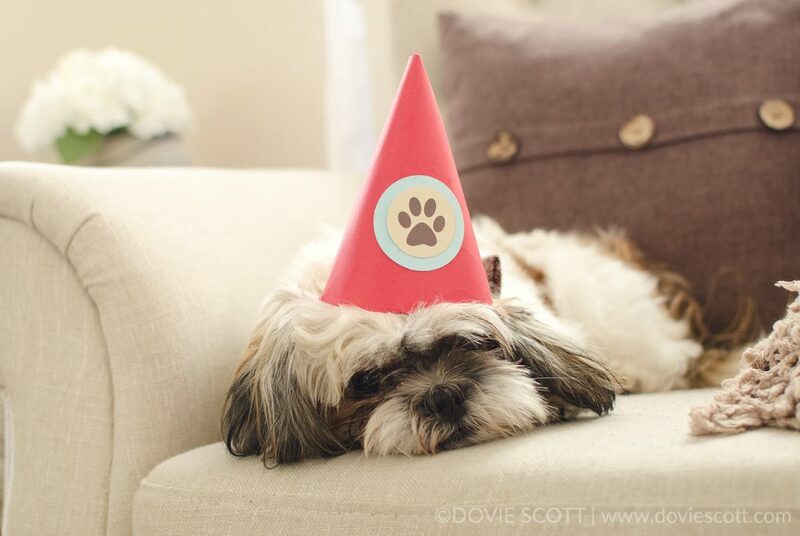 I made a few party decorations for him that turned out pretty cute. 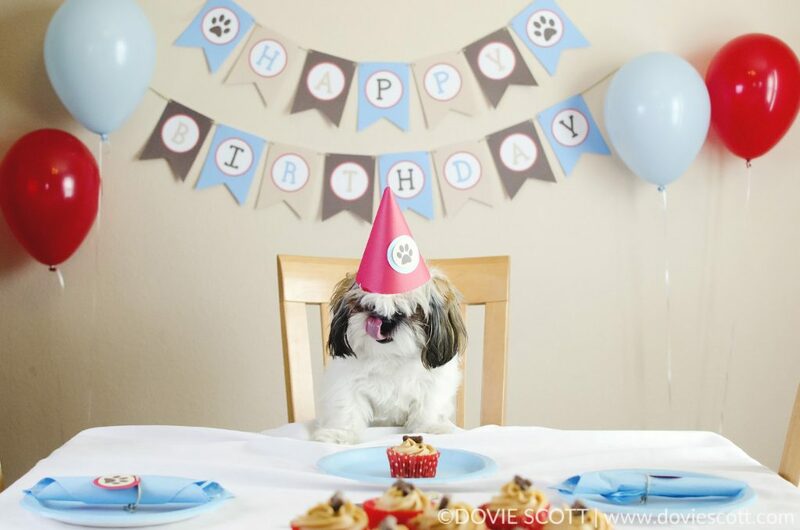 I made the “Happy Birthday” banner you see in the photos below, colorful pennant banner and paw print napkin rings. 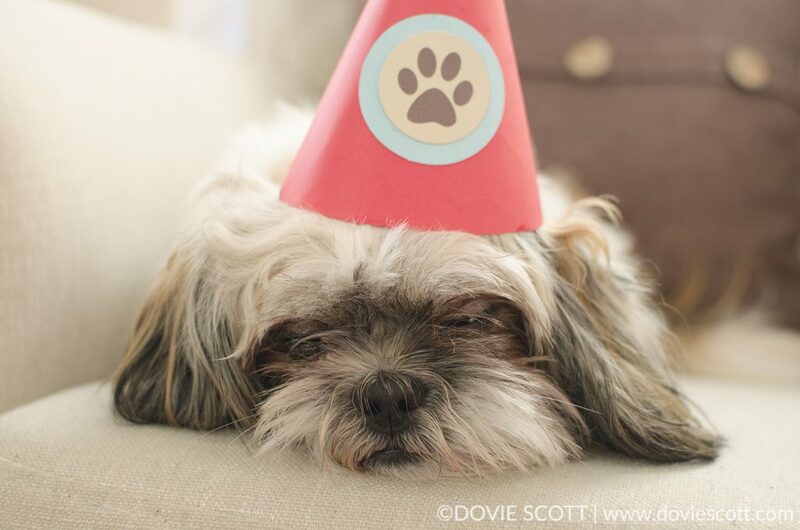 Also, I made him his own birthday party hat and I can’t forget about the party balloons. Every birthday party needs party balloons. I should have the birthday banner and a few other matching instant download birthday coordinates in my shop soon. It’s just a matter of getting pictures and getting them uploaded. 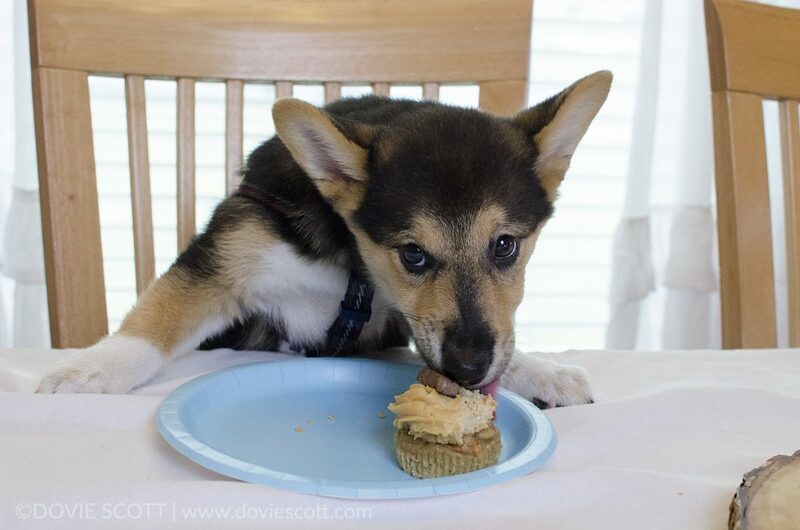 I can’t forget to mention that we even had pupcakes to help celebrate the occasion. They have peanut butter, honey and carrots. 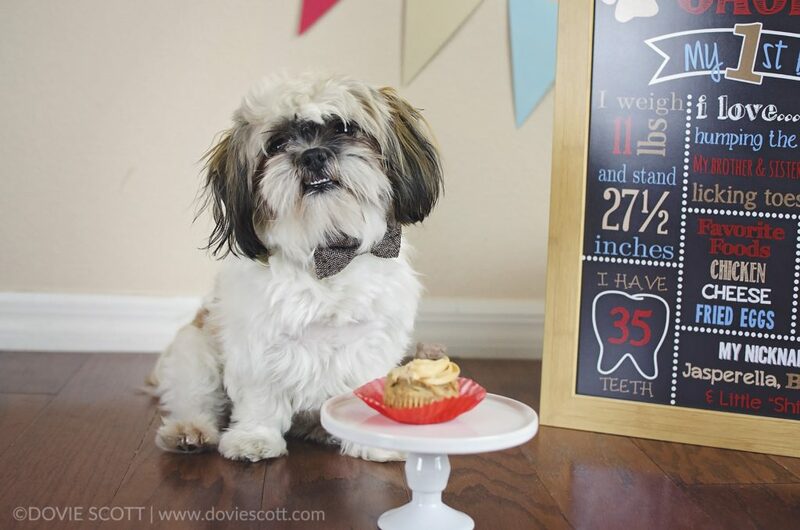 If you would like to make your fur baby some you can find the recipe below. 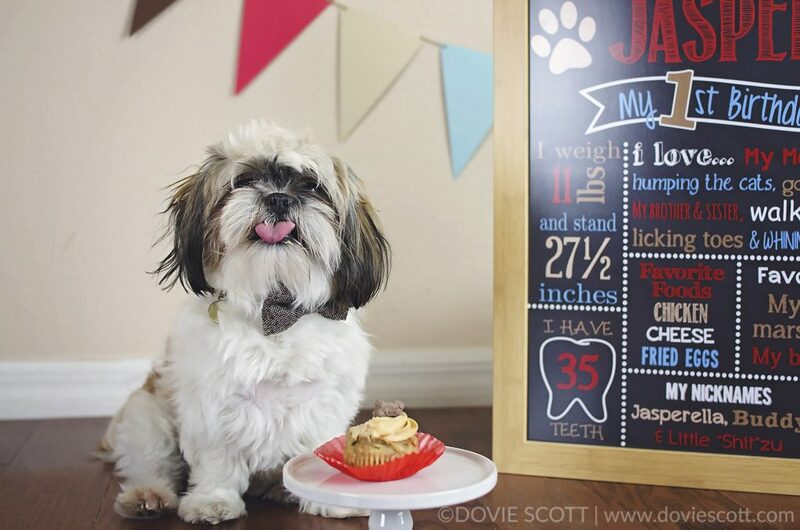 Here is Rocky, Jasper’s pup cousin, and he approved of his pupcake! 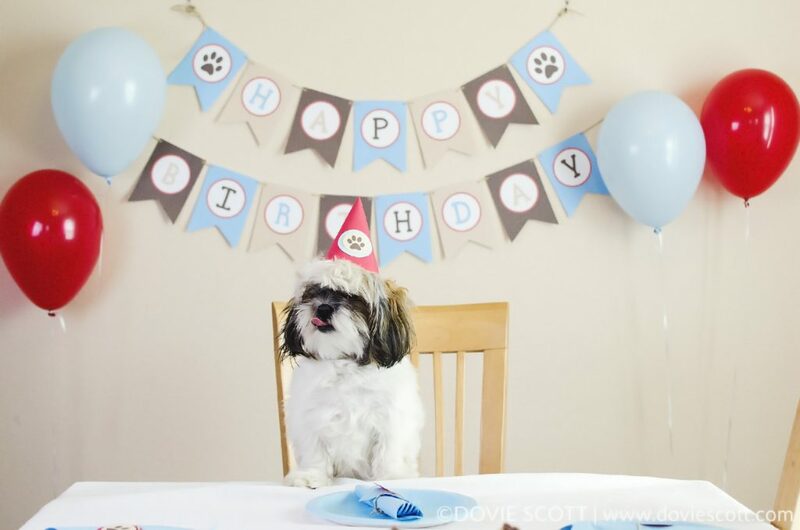 A photo of the birthday pup with his sister and mom! I love my fur baby and this picture of us. 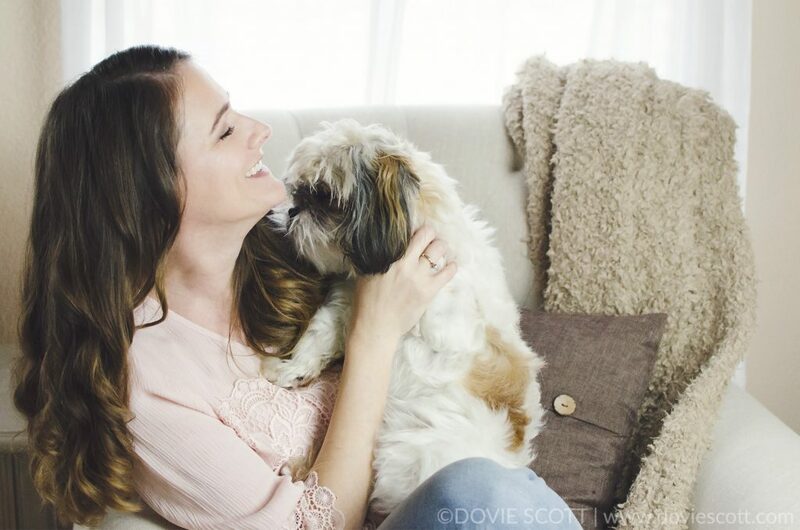 His puppy dog kisses lets me know he loves me too! I love this sleepy puppy face so much! He needed a nap after such a busy day! Preheat oven to 350 degrees fahrenheit. Line a cupcake/muffin tin with 12 cupcake liners. Place all ingredients into bowl and mix until mixed together. Spoon evenly the mixture into the cupcake liners. Bake in oven for 15 minutes or until a inserted toothpick comes clean. Frosting: Place cream cheese and peanut butter into bowl and mix together until mixed together. Place frosting into piping bag with large star tip and pipe on to the pupcakes. 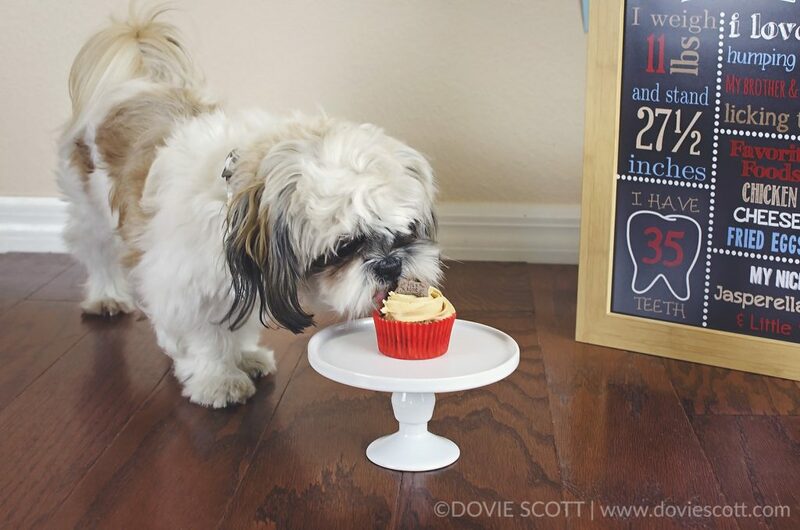 Decorate with your dogs favorite treat. 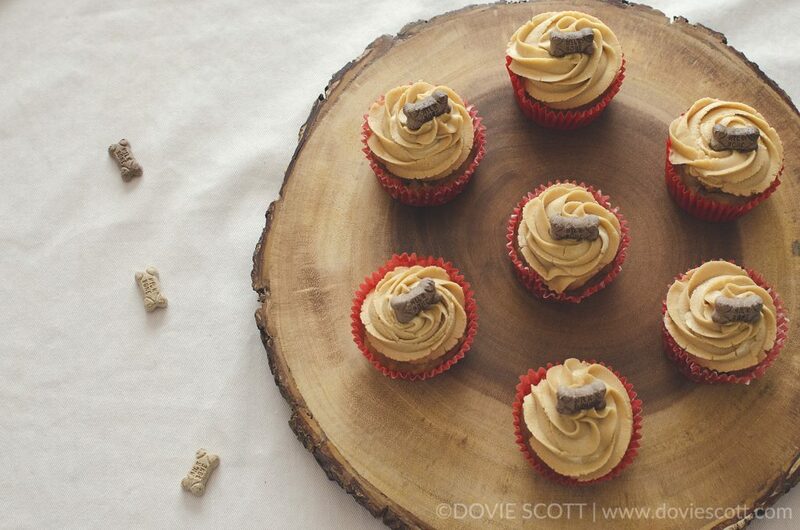 These may not be too appealing to the human guests but the dogs love them! You can store any leftovers in a freezer bag for up to a month. Remove and thaw before giving to dog. 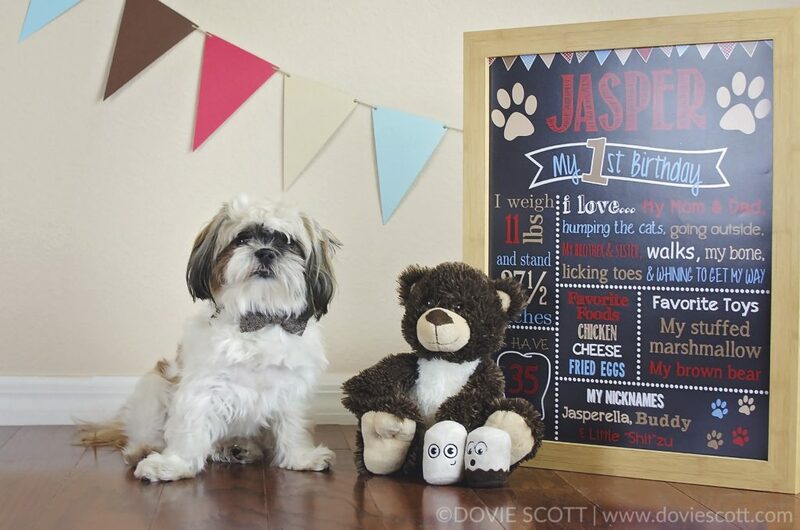 If you weren’t aware, my family and I have a lovable and an oh so cute shih tzu named Jasper. We got him when he was 9 weeks old and he just turned one on January 24th! I can’t believe he is a year already. I can believe though how much we have fallen in love with him. He really is the sweetest and gentlest dog. 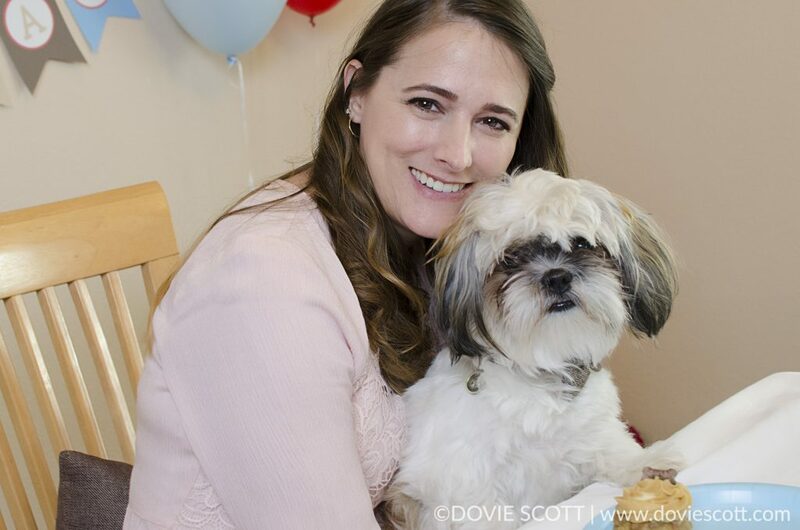 I never thought of myself as a “crazy dog lady” before. 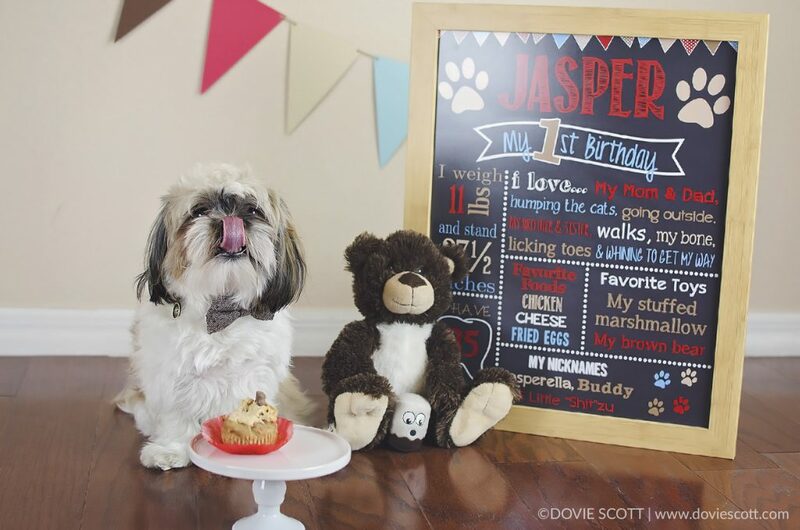 Well, that was before I started planning birthday photos and a small family birthday party for our Jasper. So, yeah, I guess I can now be considered a “crazy dog lady”. Oh well, I kind of like it. 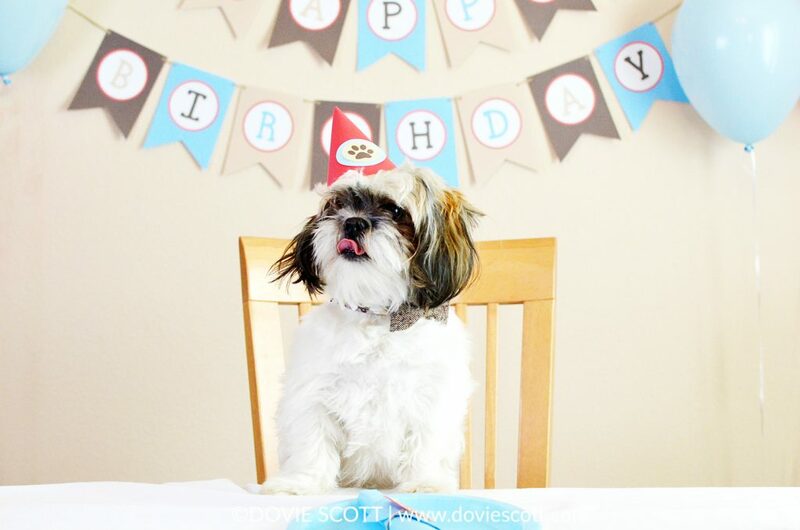 Here are a few photos of his first birthday photo session that I took. He had no clue what I was doing but realized that treats were going to be involved so he put up with my shenanigans. 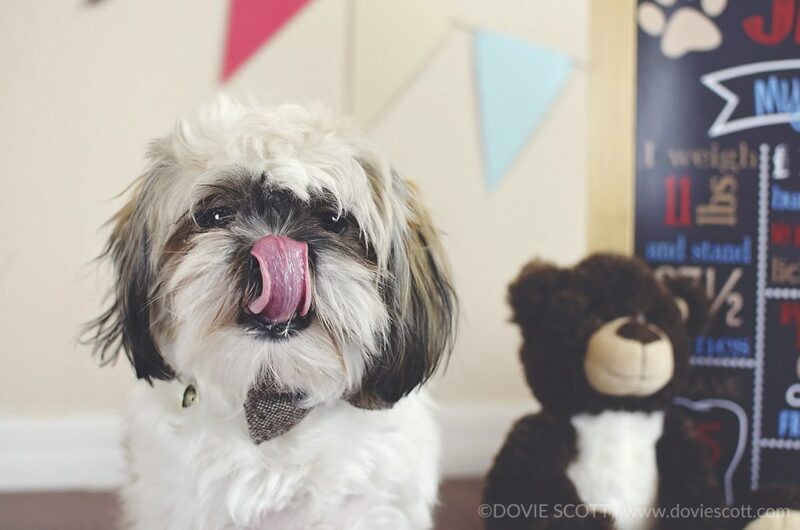 Brace yourself for the cuteness overload that you are about to see! Here he is with his most favorite toys, his brown bear and his stuffed marshmallows! We received the marshmallows in a Barkbox in December. He carries them around everywhere with him, even outside. 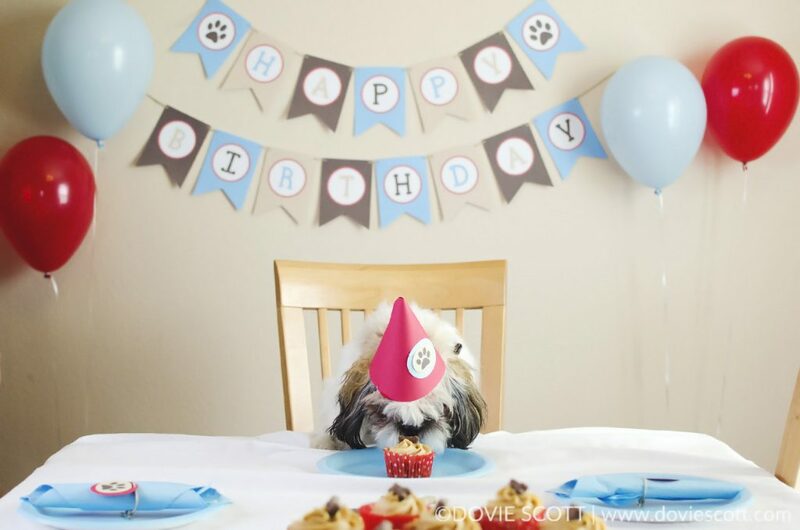 He even got his very own pupcake! 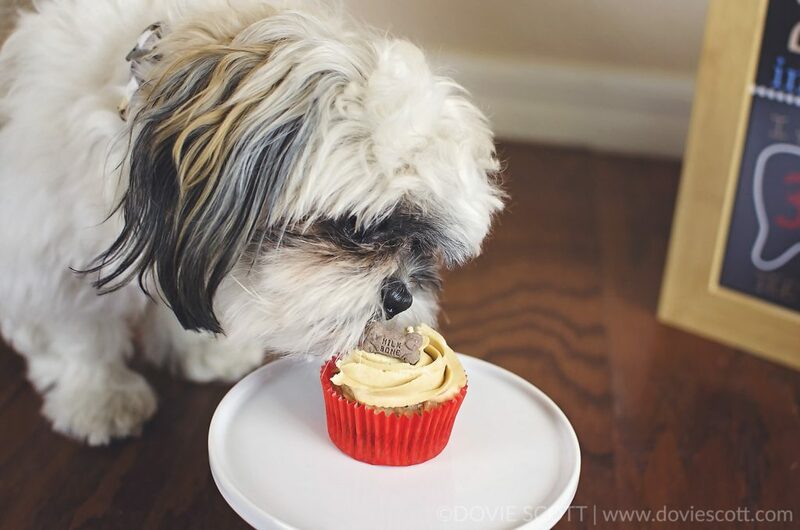 Keep an eye out on the blog as I soon will be making a post with the recipe on how you can make your fur babies some pup cakes too! 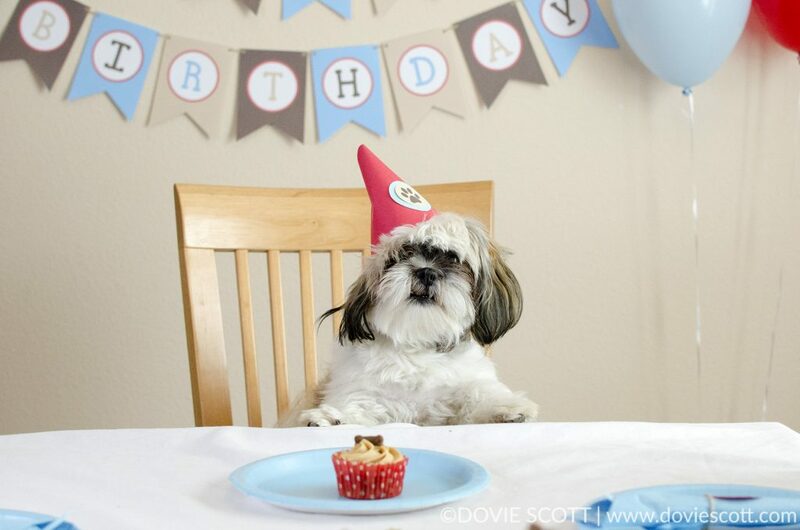 He really liked his pupcakes, if he had fingers and could talk, I bet he would say they were finger licking good! 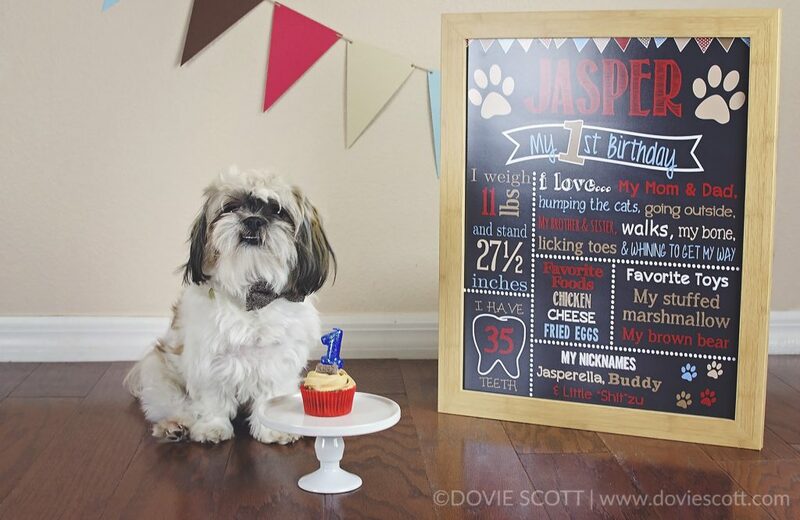 I told you he was adorable and I hope you enjoyed Mr Jasper’s birthday photos! 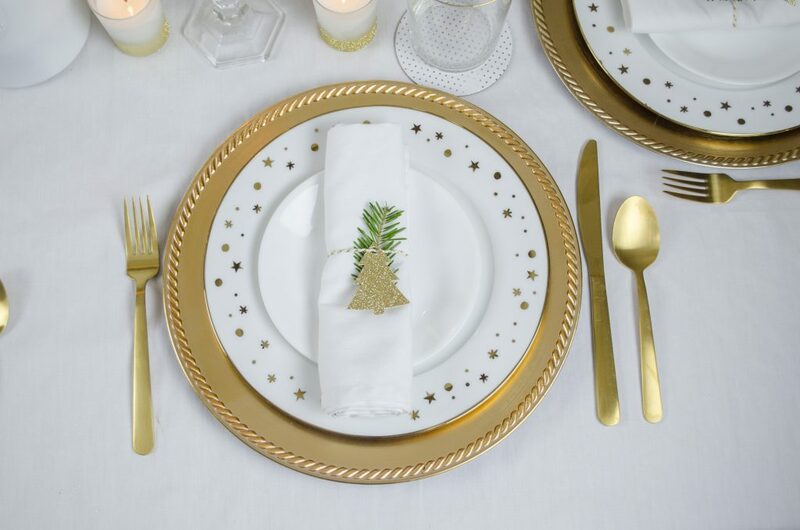 Christmas is over but I still wanted to share my Christmas table setting with you. 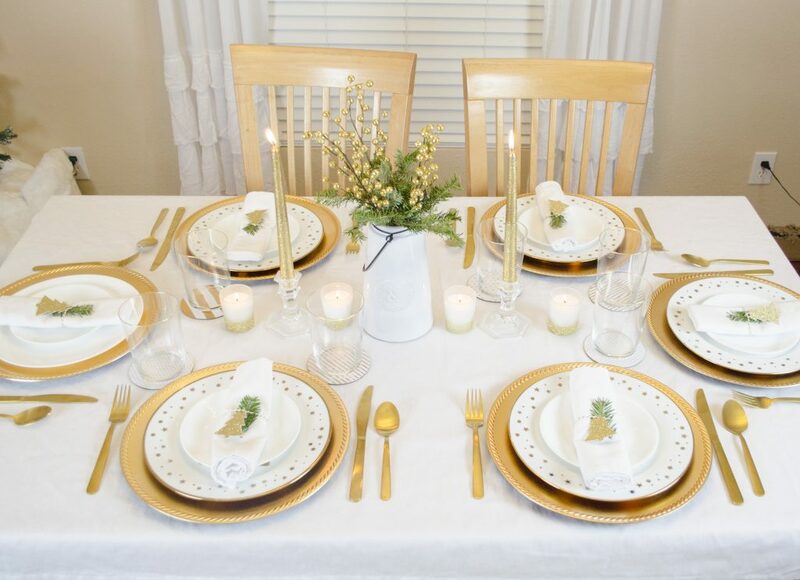 I truly loved my table this year as it was so elegant and festive. My dad made the comment that it “feels like your eating at a rich persons house”. I’ll take that as a compliment because I was going for elegant and I do believe I achieved just that. Just take a look for yourself and let me know what you think in the comments. I had the most wonderful day with my family playing games, laughing and eating great food! My darling husband made the most delicious roast with potatoes and carrots. Also, we ate collard greens, green beans, spinach balls and macaroni and cheese. Oh, and pie! I can’t forget about the pie. I put together a video of me putting together my Christmas table too! You should check it out. If you do then leave me a comment on what is your favorite part of my tablescape. I would love to know. Here is a list of the items and the stores where I purchase them from. This post contains affiliate links, which means that I’ll receive a small commission if you make a purchase using the links. 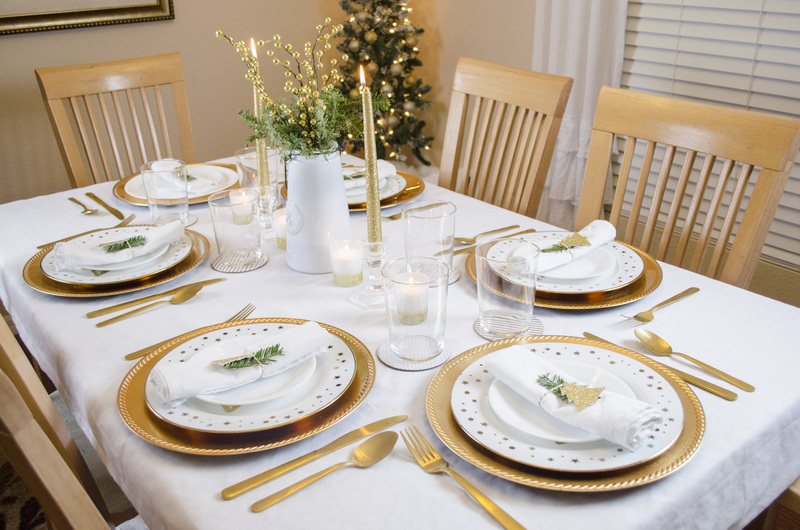 I hope you enjoyed and that you can find some inspiration for your next Christmas feast! Since it only comes once a year I think it should be grand!